Four shows after the excellent Hampton “Ghost,” the song fittingly makes a return in Worcester. With so many great versions of “Ghost” in Worcester’s history, I certainly had high hopes to add another to the list. “Cause I was on the road” says Fishman. The solo section is Page clav heavy, with Mike and Trey providing backup. Nothing extraordinary by any means. The lead in is solid and the pause gets some Fishman love. The drop is better than in Hampton but still not nailed. I will take the improvement. Fish and Mike get the jam started by trying to establish a nice slow groove. Trey fires out and seems like he is going to make a play and lead, but eventually falls to the background. It’s a wise move as things quickly find a groovy direction. By about the 4:00 min mark things are right where I want to be. Trey lays back and picks his spots throwing well timed funk darts into this jam. The first gets fired right at about the 4:20 mark, with Mike playing beautifully over-top. This is the kind of deep Fall Tour groove we all travel around the country looking for. These deep grooves remind me of the scenes in movies/tv shows where the camera shows a long curved corridor from a prison. 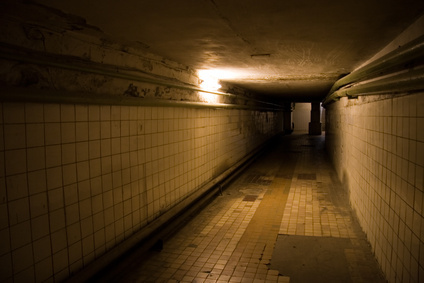 A prison that is deep underground and the cement walls are aged and covered in moisture. Equal parts eerie, interesting, old, and oddly familiar. This groove provides the exploration to navigate this tunnel. Fishman rides this dreary vibe keeping a nice deliberate pace. At the 5:38 mark Trey increases the uneasy vibe by interjecting some pitch bending into this jam. Its almost like being in a dream within this underground prison dream of mine. Like I have stopped in the middle of this tunnel and Trey’s bending leads my mind astray. I forget what I am doing in this tunnel, and can’t help but be enthralled by the sounds of Trey’s guitar. This whole section is very surreal to me. Unique and creative. Just when I feel as if I might be lost forever, Trey plays a chord that brings warmth and light back to show me the way. Time for this “Ghost” to travel a different path. Page works on piano before locking in and lifting my ears and heart toward the heavens at about the 8:00 mark. 2013 Phish. The ability to move between jam segments within seconds. Its a beautiful thing! Trey starts to repeat a melody at 8:35, and with each repetition the bliss grows! One of his favorite techniques to build a peak, and one that works with power almost every time. I particularly love Page’s playing at the 9:10 mark. He creates a launching pad for Trey who releases the energy at the 9:16 mark. The band continues driving upward and the bliss, the happy, the hugs, the smiles, the love continue. I guess we hit a peak around 9:50 mark but the entire last couple of minutes have felt like a peak! The peak of the peak hits at about 10:15 with the entire band bringing the goods. Then just for good measure Trey finds even one more level at 10:45 changing pitches and sending every endorphin I have into a frenzy. I love these outros where Phish eases off the gas with a groove after a huge peak. The band is still locked into finding a sweet groove. Trey finds some outstanding rhythmic tones to match the melodies laid down by Fish and Mike. Page is still completely on point providing notes of greatness around the other three. The only thing I wish about this outro was that it was longer. Fantastic stuff. Two Fall Tour “Ghosts” and two outstanding versions. Yet another outstanding example of how much Phish can get done in such a short jam. In 12:00 minutes we go from dark and eerie, to straight bliss. The peak of this “Ghost” had many people making comparisons to “Holy Ghost” of MSG 2010. It doesn’t get quite there but wow is it uplifting.